The new year brings new loyalty program devaluations, with the latest being IHG, followed by… IHG. I think Hiltonization is an apt description, as it seems the goal is to create a reward currency with a more or less consistent value regardless of where it’s redeemed. Obviously, that’s bad news for value maximizers like us, though it’s probably good news for the accounting and finance teams at IHG. 2017: Similar proportions to this year, with another 500 hotels seeing an increase. 2016: Surprisingly, this one was split 50/50… but they added the 55K and 60K tiers. 2015: Apparently this was a sneaky devaluation: 300 went up, 150 went down. 2012: Each brand added new (higher) pricing tiers, and Intercontinental added a 50K tier, which seemed like a lot at the time. 2011: Apparently there was a stealth devaluation. That’s all I could find. But here’s something interesting: Pointbreaks have been around at least since 2008, and they have been a consistent 5,000 points per night during that time. That’s almost 10 years! They may even go back farther than that for all I know. Everybody knows that Pointbreaks aren’t as good as they used to be, and that’s been the case for years now. But it’s interesting that Pointsbreaks remained steady for a decade despite yearly devaluations. In fact, given that IHG hadn’t changed the price of Pointbreaks, they had to devalue the quality of the available hotels. And that, boys and girls, is why Pointbreaks aren’t as good as they used to be. 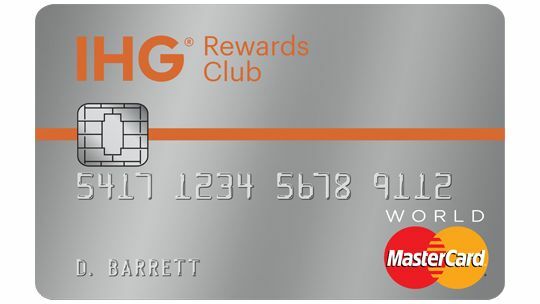 Something else has remained steady for a long time: the fact that IHG cardholders get a “free” night with their credit card good for any hotel. Now, they don’t necessarily make a lot of inventory available for this “free” night, but in theory it’s good anywhere and in practice it is indeed not too difficult to get good value for your $49/night annual fee… and that makes me think that this free night benefit is going to be devalued sooner rather than later. Either they’ll put a category cap on it, as with Marriott and Hyatt, or they’ll raise the annual fee. Or heck, maybe both. 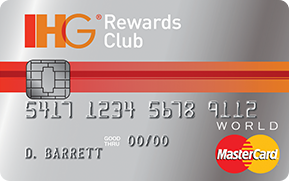 The IHG credit card sometimes offers an 80,000-point bonus (and has even had a targeted 100,000-point bonus), and this card does not appear on Chase’s feared 5/24 list. Which means that, in theory, it’s churnable. The free night doesn’t kick in until your second year, but since Chase limits you to one bonus every two years you could get the bonus, use the free night in year 2, cancel the card, and repeat. The question is, would you want to? On the one hand you’ll get 80,000 points, which are good for one luxury night with a few points left over, but then you also have a minimum spend, an extra credit pull and new account, and the possibility of Chase adding the card to the 5/24 list during a time when you don’t have it. Obviously the 80,000 points can get you more than one night if you set your sights lower but while some gems remain even some of the mid- to lower-tier IHG hotels are getting expensive, points-wise. So I personally don’t think churning it is worth the trouble, but that’s just me. As always, YMMV, especially if they start messing with the annual fee and/or free night benefit. Sometimes it’s a lot of work to put together a trip, and sometimes it’s hardly any work at all. 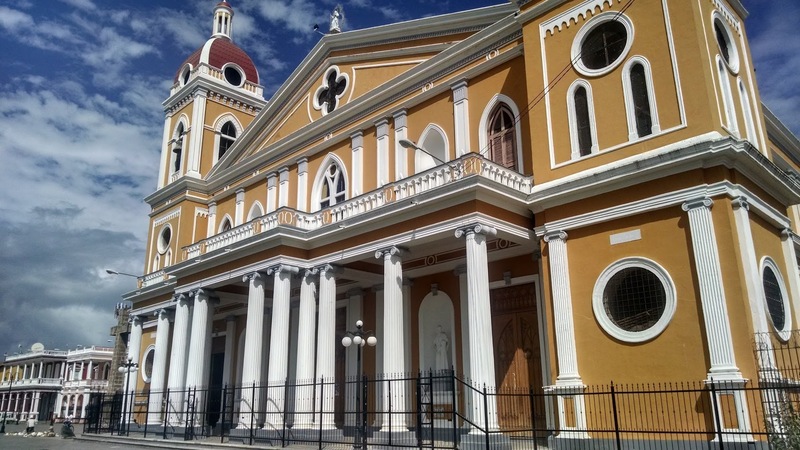 Our last family trip to Managua took a fair amount of work but one we just returned from was so easy a newly converted Million Mile Secrets reader could have booked it. As one of the world’s foremost experts on American Airlines award availability on the CLT-MGA route, I can attest that American had been stingy with its award space all year. It’s always tough to book over Christmas and New Year’s, which made our last trip more tricky to nail down, but once upon a time, even in 2016, it was wide open after mid-January. But this year? Not so much. Having a family of six doesn’t make things easier, but even taking that into account the AA revenue management goon squad has made things difficult for freeloaders like us. But in early November I noticed seven seats available with a favorable schedule. Booked! We were headed down south once again. And the hotels? Whereas last time that took a bit of work, it was no problem this time. IHG had just put out their new Pointbreaks list and even though a lot of good hotels had already vanished from the list, there was a nice Holiday Inn available in Managua for only 5,000 points per night. Not only that, but they allowed more than one room per night to be booked at the 5,000-point rate! The last few times I saw a Pointsbreak hotel worth booking, there was a limit of one room per night. So after literally years of waiting, I finally used my IHG stash (and then some–I had to buy a few points as well). The one hitch in my plan was that the trip down was an overnight routing through Miami. It was a long layover (arrive 8 pm, leave early afternoon the next day) and the Hyatt Place is right next door to the airport, so the overnight aspect itself was not a big deal–in fact, it was a plus since we have some relatives in the area we visited with. What was a big deal was the fact that the layover was so long we couldn’t check our bags all the way through to Managua; we had to pick everything up in Miami, take it to the hotel, take it back the next morning, and re-check the bags. And when you’ve got a wife, four kids, a mother-in-law, seven checked bags, and five carry-ons… it’s a non-trivial undertaking. Not a deal-breaker, but something to be aware of in case you find yourself considering a similar booking with a large group. But that said, the trip went smoothly. Our kids are ages 4-10 now and traveling to Nicaragua was much easier this time around than it was just two years ago. Hope for the future! And I will point out that clearing customs and immigration in Miami at an off-peak time (specifically, Friday night in late January) is much more pleasant that doing it the first Saturday after New Year’s. Granada Cathedral! Go up the bell tower if you’re there. The North Bumblefuck Holiday Inn Express, located 50 miles from any place you’d want to visit. The Candlewood Suites located near the office park 15 miles from your home. A really nice hotel in a country that you will not visit any time soon. Q: Dear Personal Finance Digest: I’d like to know more about the Holiday Inn credit card. Can you help me out? A: Sure! But just so you know, it’s not actually called the Holiday Inn credit card; it’s called the IHG credit card and used to be known as the Priority Club card. IHG stands for InterContinental Hotels Group, the company that owns Holiday Inn as well as other brands including InterContinental, Indigo, Staybridge Suites, and Candlewood Suites. Q: Ah, okay… this is already getting a little complicated. A: In this case, complicated is a good thing! The more brands they have, the more options you have for redeeming for free nights. Q: Cool! Hey, I see this card comes with a sign-up bonus. Should I go ahead and get it? A: That depends on what the sign-up bonus is, but usually it’s decent. In the past, it’s gone as high as 80,000 points, and sometimes a modest statement credit is available too. It was 70,000 points when I got it, and it’s usually at least 60,000. There’s a thread over at flyertalk which is usually pretty good at posting up-to-date best credit card offers. Q: Say I get a whole bunch of IHG points from the sign-up bonus. What can I do with them? A: Good question! The best use for IHG points is with their Pointbreaks program. Every 3 months or so, IHG releases a new list of Pointbreak hotels which you can get for only 5,000 points per night. So if you’re fortunate enough to snag an 80,000-point sign-up bonus, that means you can get as much as 16 free nights, which is a phenomenal sign-up bonus. Q: This sounds too good to be true. A: It is and it isn’t. They rarely put the nicer hotels on the list, and since inventory is limited the nicer ones and/or the ones in the more desirable locations tend to get snapped up pretty quickly. But if you’re flexible there is value to be had. Q: Okay, aside from that how should I use my points? A: Use them for whatever you want! Log into ihg.com and figure out how many points it will take you to go where you want. It’s helpful to have some idea of how you’re going to use your points before you apply. Q: The card has a $49 annual fee (waived the first year), but I read that you shouldn’t have credit cards with an annual fee. Should I cancel after the first year? A: Excellent question! I generally recommend against paying annual fees, but this is one where there is value to be had assuming you were already going to be doing some traveling. After your first year, you get one free night per year which you can use at any IHG hotel in the world, even one of the really expensive ones. So the question you need to ask is, are you willing to pay $49 for a hotel night at an IHG hotel some time in the next year? In my case, the answer is yes. As is always the case with credit card rewards, your mileage may vary. But note that some hotels, such as the InterContinental brands, can go for hundreds of dollars per night, so this can be a good way to get a cheap stay at a luxury property. Q: What else should I know about the IHG rewards program? A: You should know that Drew over at TravelIsFree is a big fan and has written some good posts on IHG. I like Earning IHG Rewards Points on Steroids as well as as How to Find Free Nights with IHG’s Best Rate Guarantee.